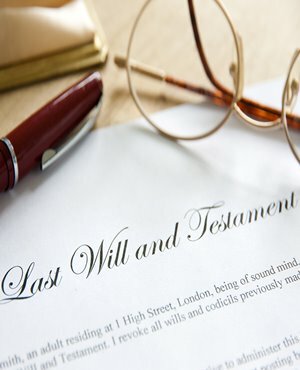 A Fin24 user is looking for facts about his estate and what the process entails after death, with specific emphasis on who gets what and who's entitled to what. He has retirement annuities and (RAs) and life cover as well as a bond in his name, but no will. Concerning your question about who will inherit what, this will be regulated by the will which has been drawn up by the testator. If there is no will, it will be regulated by the Intestate Succession Act. Any person who makes a will is free to choose what he wants to give to whom. When a person passes away, the process begins with the family members informing the executor, nominated in the will, of his or her death. The executor then reports the estate to the Master of the High Court. He will also inform all beneficiaries. When the executor receives his appointment, he will start the process by advertising, drawing up accounts and advertising again. Transfer of properties and assets will follow, which can take up to eight months. The executor will keep all beneficiaries up to date in the process. RAs will almost never form part of the estate. The trustees of the fund will decide - based on your blood relatives and nominated beneficiaries - who they will pay the funds to. Life policies will pay into the estate if no beneficiaries were nominated by the deceased. If you listed beneficiaries, funds will paid to them and not go into the estate. Unfortunately a bond needs to be cancelled once property has been transferred. This means that the executor will need to settle the bond from funds in the estate, or if there are no funds, the beneficiary inheriting the property will apply to take over the bond account. It will not be possible to transfer property without closing the bond account. If you have life cover on the account, it will settle the bond. From your questions, I can see that you have property and other assets. It will be best for you to see somebody to draw up a will for you. If you pass away without leaving a will (intestate), it will be very difficult for family members to sort out all your assets. The Intestate Succession Act will regulate the beneficiaries, and this may not happen in the way you would have wanted it to.